A good friend of mine was having some service done on her car and the dealer set her up with a rental. 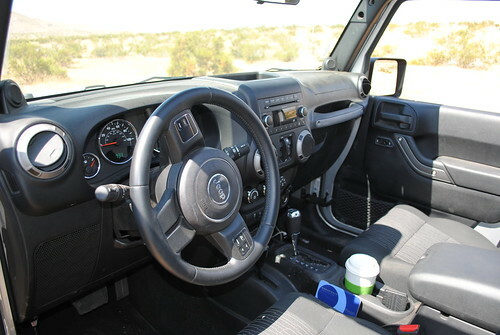 A fully loaded 2011 Jeep Wrangler Unlimited. I had to see for myself just how this would perform off road. With a lot of coaxing and a few, "It will be fines', She finally agreed to go for a little road trip. 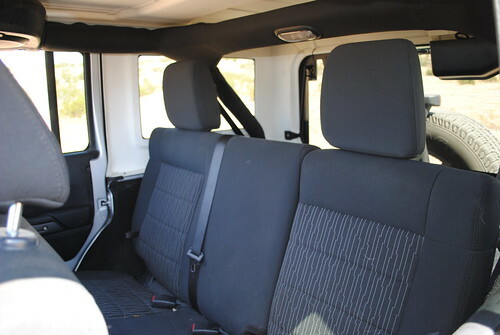 We packed up the Jeep with a cooler and headed to Barstow. We entered at outlet Center the traditional start/finish area for most of the off road races. We took off toward highway 247 with the intention of staying on the course and cutting out the really rough section up around the dump. After all were only shod with stock Goodyear Wrangler Radials. As we proceeded North I was impressed with the handling of this machine. I immediately knew it would be capable of handling just about anything I could throw at it. We decided to stay on course B all the way through. I'm glad we did. I ended up using the shift on the fly four wheel drive a couple times in the sandy wash and on a really steep hill climb. The ride was smooth and true. 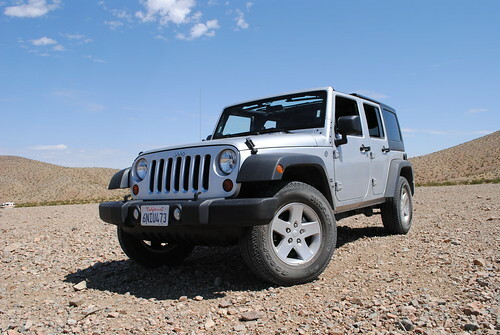 I could not believe how fast this Jeep could travel over this rugged terrain. 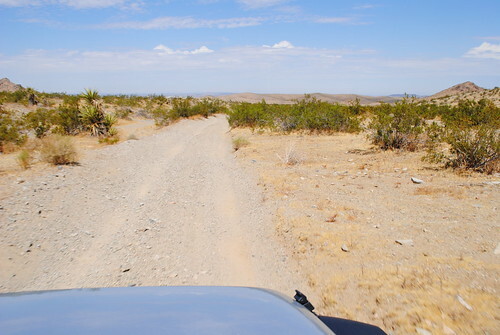 We headed South and ended up meeting Stoddard Wells road and headed to Hodge Road. 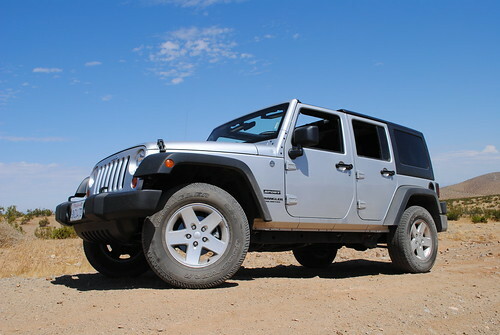 We spent an hour or so putting the Jeep through the paces of a favorite test loop we use to shake down our race cars. I know this loop like the back of my hand. As expected the Jeep motored through like a champ. With a few mods this would be a great ride. Back seats are a little cramped. 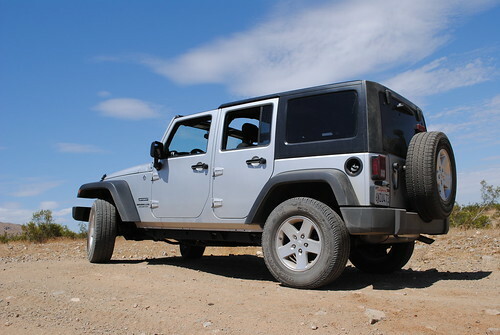 But,the BF Goodrich All-Terrain's really make a difference. Great post! Thanks a lot for sharing this information. Cheers!